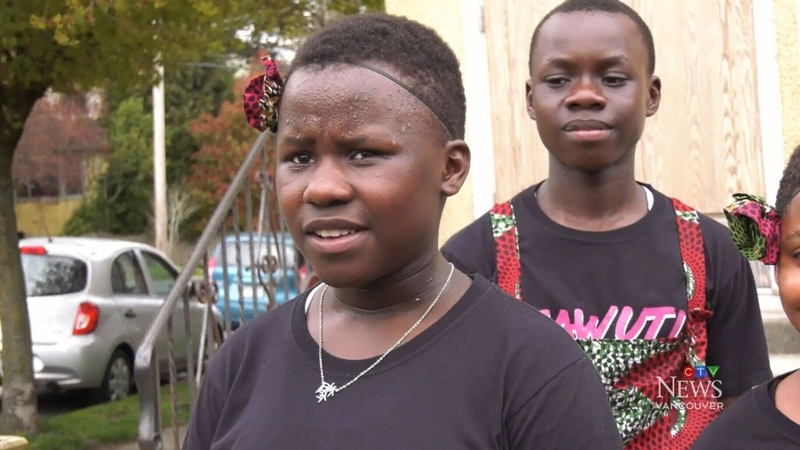 A Ugandan children’s choir raising money for poor kids to go to school in Africa is heartbroken after thousands of dollars and their possessions were stolen in Vancouver. The Sawuti Children’s Choir, which is touring Canada for six months, was performing in a shopping mall on Saturday when their truck was broken into. Chaperone Christopher Sparks says his heart sank when he made the discovery. “I thought ‘Oh no, I'm sure we left stuff in the truck,’” he told CTV Vancouver. More than $8,000 was taken. That’s enough to feed and send 14 kids to school in Uganda for one year. Also gone were laptops containing the choir’s music, family photos and at least one passport. Vancouver police say the theft wasn’t caught on camera so they’re looking for witnesses to come forward. “Ever since we came to Canada, those people have shown us love,” said choir member Emmanuella Treble Nalinya. “We are looking forward to seeing you at the next performance,” she added. The choir is asking those who would like to help replace what they've lost to make a donation to the "Sawuti Choir" campaign through their Canadian sponsor’s donation page.